Why it's so much fun making friends with Japan's cutest creatures. And how to do it safely. 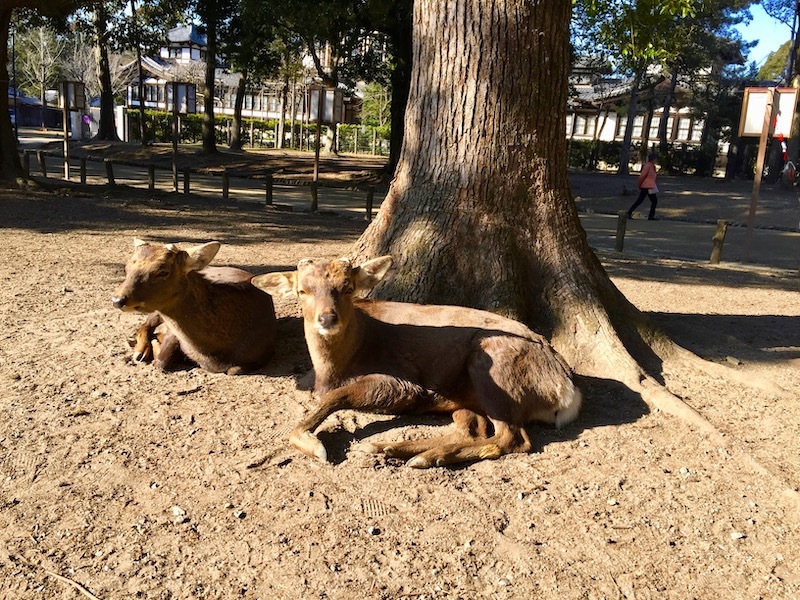 Encompassing over 1600 acres, including four world heritage UNESCO sites and stunning Japanese temples, the most famous inhabitants of Japan's Nara Park are its deer. Over 1200 wild deer call this lush forest park their home, and are carefully protected thanks to an 8th century legend about a summoned god who appeared riding in on a white deer. 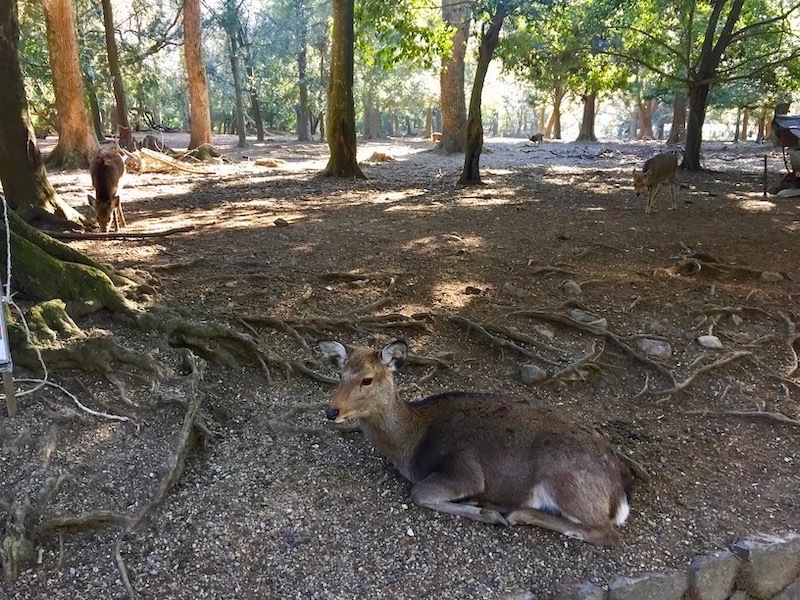 Since Nara Park is located within the city of Nara, these deer have had a unique existence here, including a long history of interacting with humans, in a beautiful, fecant forest that's been around for nearly 1000 years. 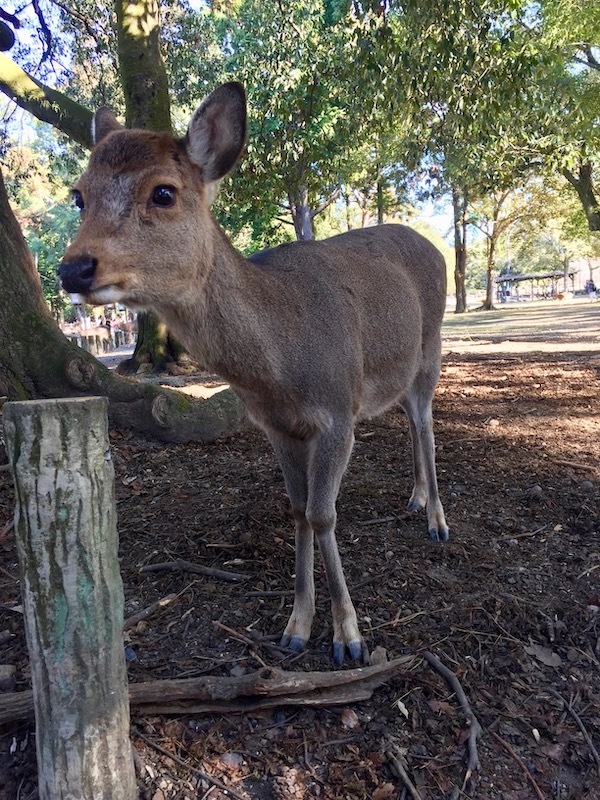 Because of this unusually close relationship, most deer in Nara park are not only familiar with people, they're also inquisitive and friendly. 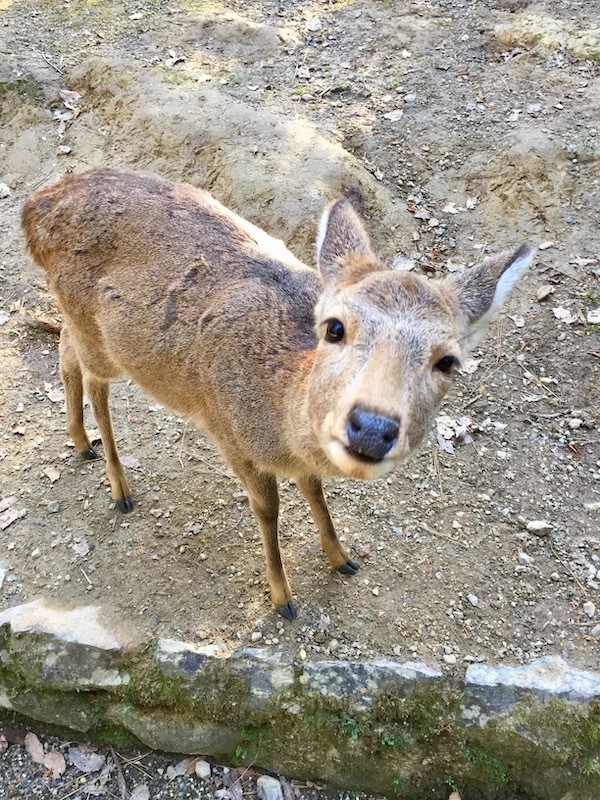 Many animal lovers visit Nara to have the awesome experience of meeting a happy deer peacefully living in its natural habitat. The Nara deer naturally graze on a variety of different grasses, buds, and bamboo leaves. 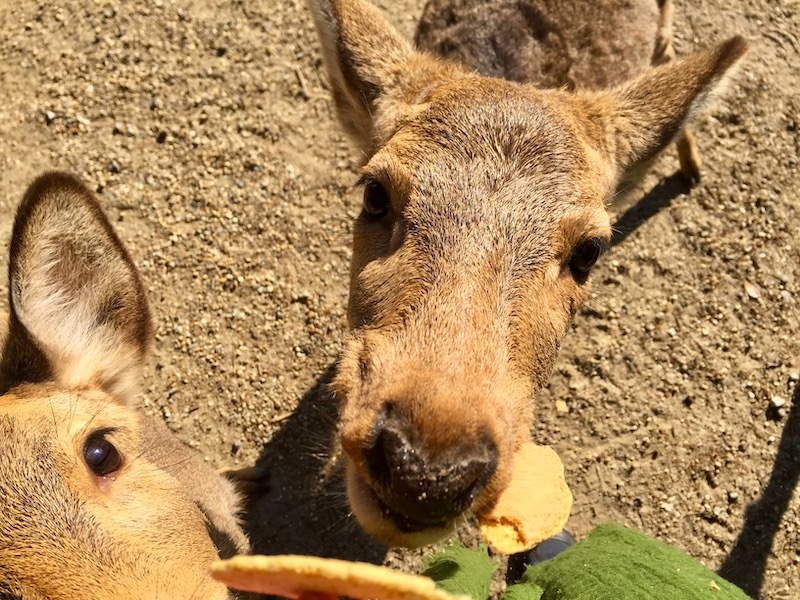 The only other food they eat is Shika Senbei, otherwise known as a deer crackers. It's a sugarless mix of rice bran and wheat flour made specially for them. 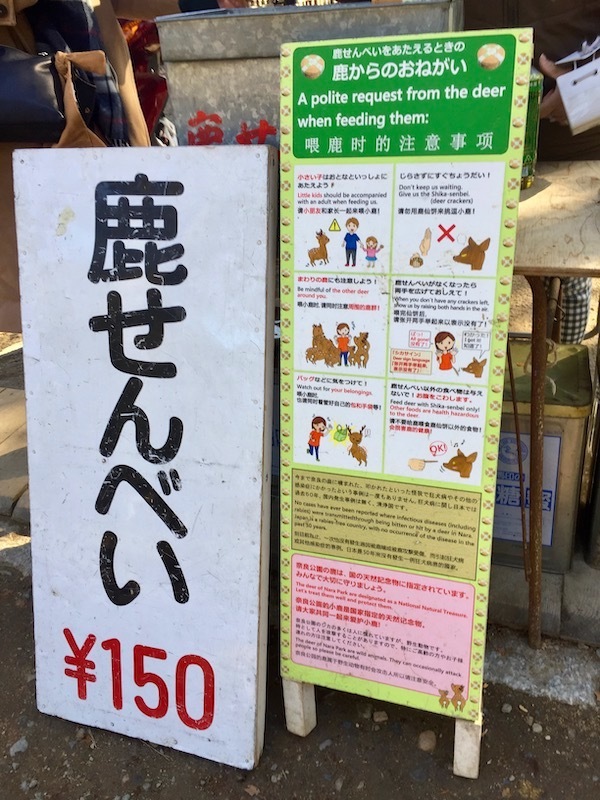 Crackers are sold in packs at stands throughout the park for ¥150 and proceeds of the sales go to the care of the deer. The crackers are like crack to the deer, who can smell them from afar and will come running to get a crunchy cracker bite. And they're very smart. Many have learned to bow their heads to politely ask for a cracker. When you run out, you put your hands up in the air - to say all gone - and they will understand your sign language and move on to the next treat-giver. these crackers are freaking delicious! 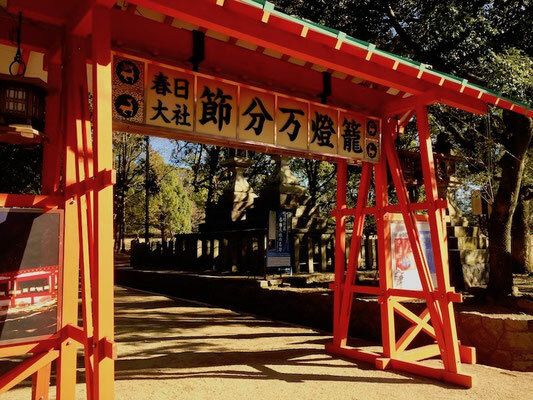 Nara Park is easy to visit. 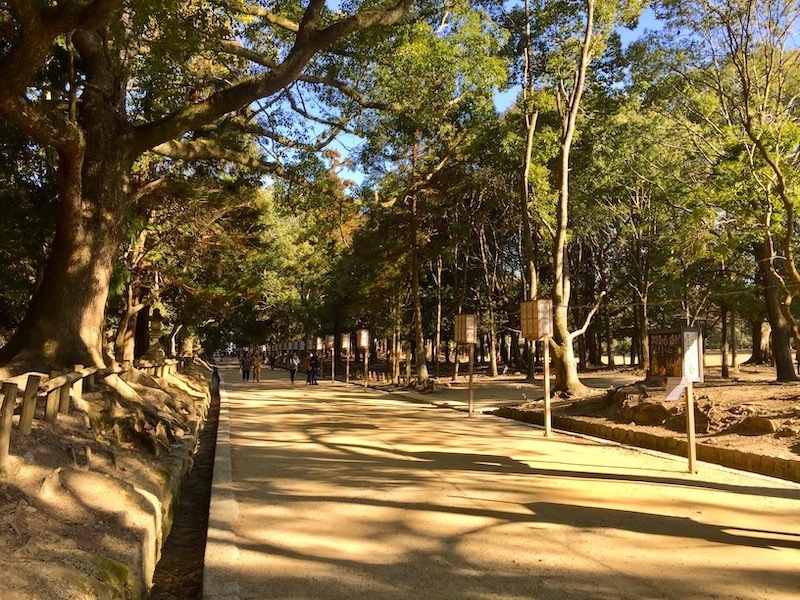 It's a short walk from both Kintetsu Nara and JR Nara Stations, and also easily accessible by bus. When walking on Sanjo-dori Street, you'll notice deer pictures marked on the trees when you're getting close to the park. 1. pay attention to the safety guidelines. deer are unpredictable wild animals. 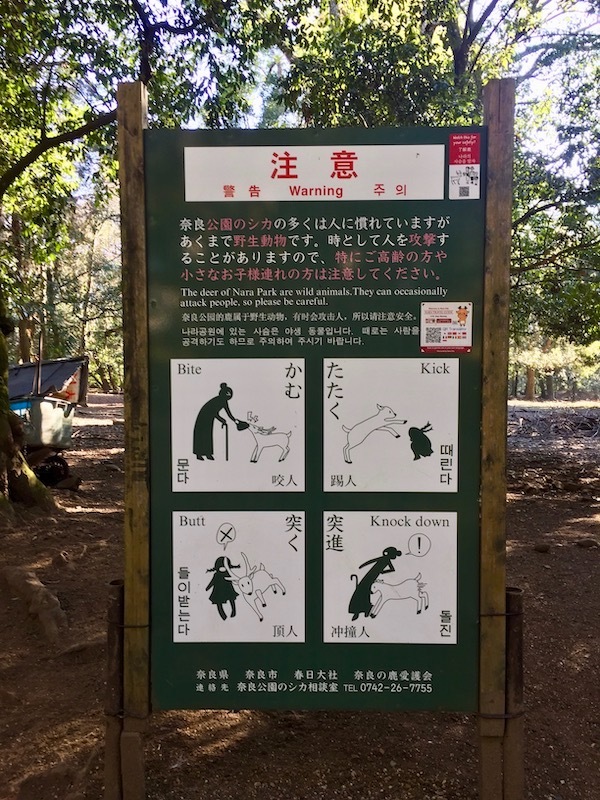 There are signs with safety warnings throughout the park that explain the safety measures. The deer can bite, kick, or knock you down. Male deer are quite large and can easily overtake you if you're not aware of your surroundings. 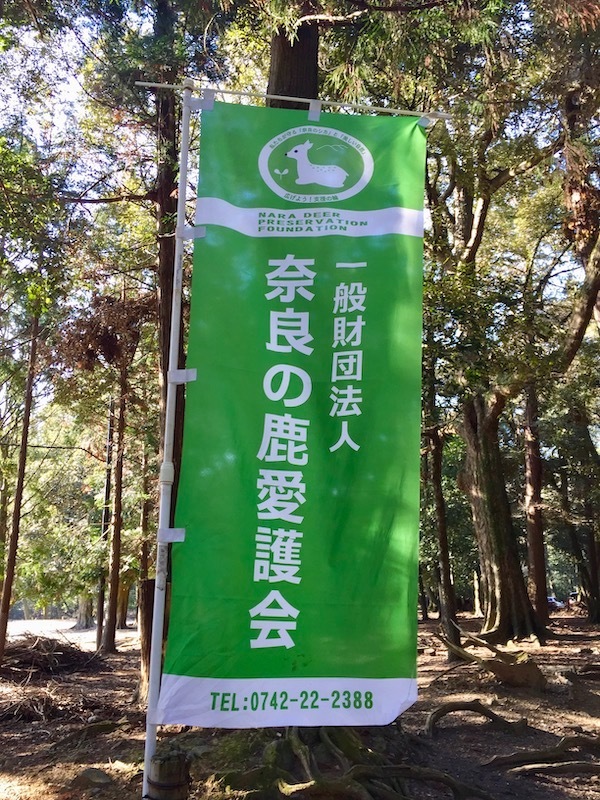 2. be mindful of carrying bags, paper, or plastic the deer may try to injest. The deer are smart and know people have food, so they may try to nibble your clothes, your pockets, your backpack or anything else on you. Be extra careful you don't carry or drop anything they can put in their mouths or swallow. 3. do not feed deer human food. they can only eat the deer crackers provided. Like any wild animal eating a natural diet, it is extremely unhealthy for the deer to have any human food, snacks, or drinks. 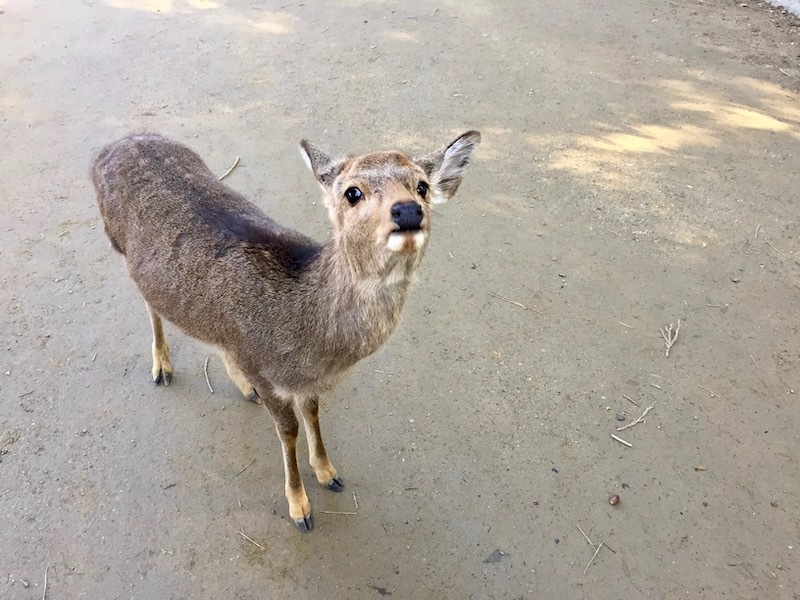 The deer are cared for by the park's Rokuen centre and the Nara Deer Preservation Foundation, a government-funded nonprofit, that look after the deer's welfare, treat injuries, protect pregnant moms and newborn fawns, and hold ceremonies. Every year, they cut the antlers of a few of the most aggressive males as a precaution to prevent fights, injuries, and deaths. Deer shed their antlers yearly as they naturally become dead bone and keratin, fall off, and then regenerate again. Removing them early, though, is unnatural, so if the procedure's merely a peace-keeping measure - it's not an entertainment event. 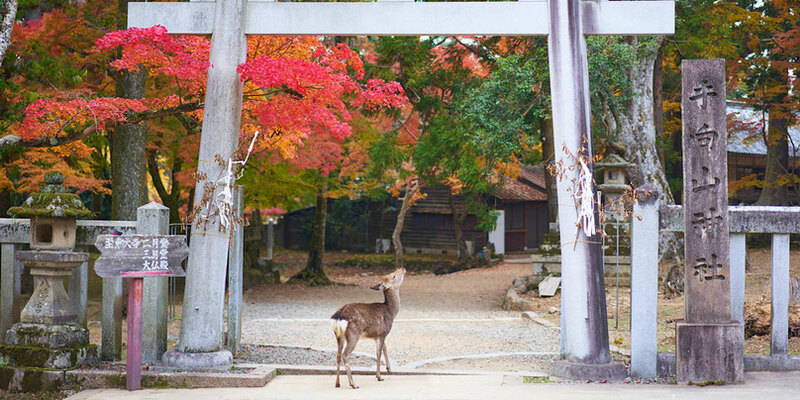 Other ceremonies are much more pleasant and whimsical, such as the Shikayose, during which the deer are called to gather by French horn and then serenaded by Beethoven's 6th Symphony while being fed treats. These ceremonies are held several times throughout the year and would likely be the cutest, most Disneyesque experience you'll ever see come to life. do you have a cracker? Rituals aside, these deer are quite lucky to live out their entire lives, protected and cared for, along with their families, in a safe and natural environment where they can roam free and be happy. 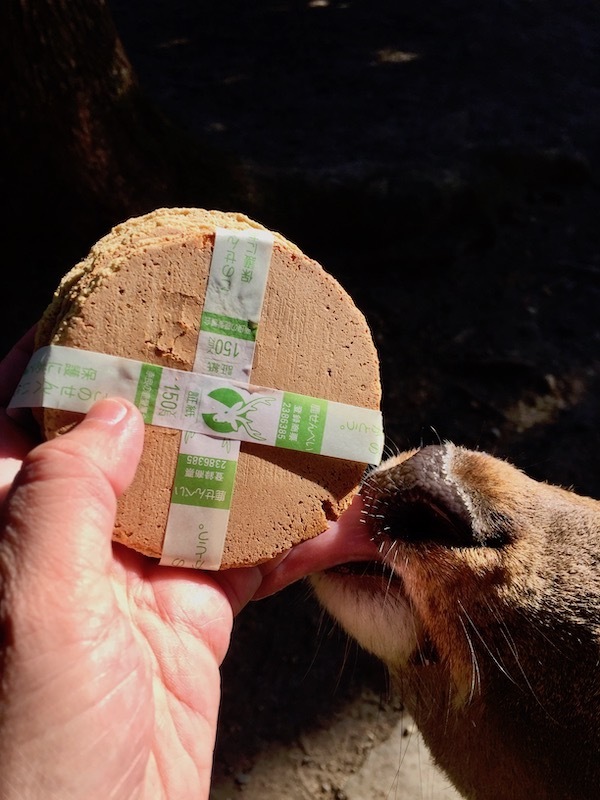 Most other deer around the world live in constant danger of being hurt or killed by nature, predators, hunters, or trapped in zoos (only the lucky get to sanctuaries), and never get to experience the luxury of living with the peace and care that this special park gifts its inhabitants. Just don't forget the crackers. Because the deer sure won't.